They know the secret … If you want to know, read on! When I was younger I used to love setting goals for the New Year. I found it refreshing to sit down with a large sheet of paper and draw a mind-map that branched out in every direction. I found it invigorating to then translate my dreams and aspirations into a neatly printed list of goals and resolutions that would hang by my bed, until it eventually found its way into the bowels of the bottom drawer of my nightstand. Even twelve months hence, when I went back to discover what I had accomplished and what got lost in the hullabaloo of life, I was filled with curiosity and fascination. In recent years, when the New Year came round and it was time to buckle down to create my vision, manifestos, goals and resolutions, I went numb. With everything going on during the holiday season I felt totally drained. Rather than it being a fun and inspirational activity like it was once upon a time, it had become a dreary chore that I kept putting off, because of the unnecessary overwhelm and uncalled-for anxiety it brought with it. In order to get back into the spirit of goal setting, I would peruse list after list of 100 great ideas for New Year’s resolutions and how to achieve them, only to ditch them halfway through. I tried beating the system, by blocking time in my planner to goal-set for the New Year in early November, but I never succeeded to buckle down. Somehow more urgent and immediate matters kept popping up. (Now, don’t start patronizing me and reminding me that if it were really important to me, I would have found the time. I know all that. I guess you could say that it just wasn’t that important.) I Googled quick ways, easy ways, fun ways and strategic ways to set goals, but alas, something just didn’t feel right. At the end of the day, all I was doing was following someone else’s template to success. I realized that in order to set meaningful goals, I needed to delve deep and look inside myself, but every time I made an attempt to do so, all I could see were piles of clutter — and much of it wasn’t even mine! I feared that by the time I worked through the dust, disorder and confusion and got to the core, the year would be over. Besides, the mere thought of tedious digging only added to my feelings of stress and confusion. I became desperate, okay frantic. Being a bit OCD by nature, the thought of NOT having my list of goals ready by the time the ball dropped freaked me out. In a moment of increasing apprehension, I did what I often do in times of emotional discomfort— I turned to my phone. There’s no better way to procrastinate than to flip through my photo gallery. Then it hit me. There is another way — a more personal way, a more fun way, a more ME way! As humans we are naturally responsive to visual cues. No wonder smartphones have revolutionized our relationship with photos. Photos that capture moments in time convey information and ignite our curiosity by telling compelling stories. Photos provoke powerful emotions — from awe and amazement to disgust and discomfort. Photos also have the ability to trigger memories of episodes and people long forgotten filling our hearts with both joy and sadness. With hundreds, if not thousands, of photos on our phones, we have in the palm of our hand myriad golden nuggets waiting for us to mine and utilize to create goals that are personal and truly come from within. As I went through the process, I couldn’t help thinking how much truth there is to the old Jewish say, Know where you come from to know where you are headed. 1. Start with the raw and spontaneous photos on your phone — the ones without filters or any kind of editing. 2. Go through them one by one. Take your time. Allow yourself to reminisce and your emotions to surface. 3. Focus on the photos that make you feel good. 4. Ask yourself what emotions these photos create. a. Do they make you feel happy? b. Do they make you feel confident? c. Do they give you a sense of achievement or perhaps security? d. Do they create a feeling of longing for people and things you miss? The underlying rationale is simple. Situations that generate positive sentiments are the ones you need to repeat and replicate in the year to come. a. What areas of life do these photos commemorate — work, play, friends, family, travel, or perhaps shopping? b. Where were these photos taken — at home, on the street, in nature? c. Why did you take these photos? d. Who are the people in the photos? *** How are you interacting with them? *** Why do they make you feel good? e. Is there anything in particular in the photos that catches your eye? f. Is there anything missing in the photos? 6. 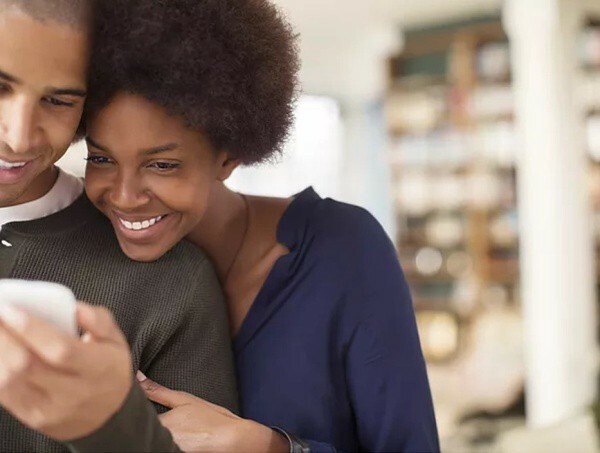 Using the information, you have gathered from the photos on your phone, make a list of the events and people that are meaningful to you and make you happy. 7. Make sure to include a range of situations in order to create a whole and balanced life. 8. With your list in hand, explore ways to transform these moments in time into integral parts of your life. a. If photos of your family trigger a sense of pride and joy, make family time a top priority in your life goals. Block time in your schedule to spend time with your family rather than waiting for it to happen on its own. b. If photos of nature give you a warm and fuzzy feeling, look for ways to spend more time in nature on a regular basis — not just when you go on holiday. c. If you feel empowered by photos of yourself at work, dig deeper by asking yourself what aspects of your job give you a sense of achievement and success and then look for ways to increase these types of activity. The photos on my phone are a magical key to unlock buried treasures of my life. I no longer wait for New Years to come round in order to reveal momentous golden nuggets. My photos are a constant reminder of what’s important to me, what I stand for and what I want my life to be about. The photos on my phone not only help me create goals, they keep me on track to follow my dreams. If I can do it, so can you and what’s more — you can do it on your own; you can do it with your partner; you can do it with your kids; you can even do it as a family. What’s more, the beauty of this approach lies in the process as well as in the outcomes.